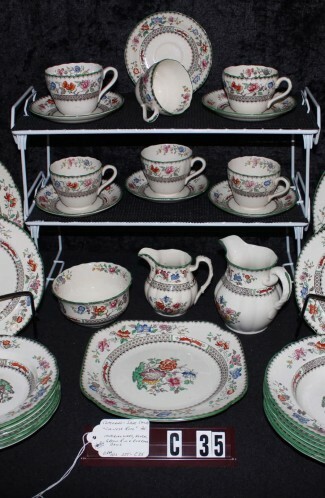 Villeroy & Boch China, Albertina Floral Pattern #VILALB, Cream China Dinnerware Set, with Multi-Color Floral, 148-Pieces, Service for 12, Circa 1984-2001. 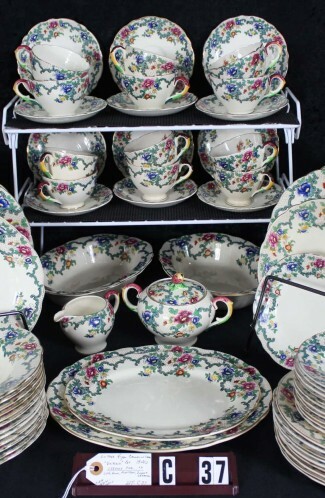 A very Beautiful Multi-Color Floral China Dinnerware Set in the"Albertina" Floral Pattern #VILALB by Villeroy & Boch. Made in the 1980's. 148-Pieces, a Service for (12) Twelve. Plus numerous Serving Pieces (see inventory below). It is a Fantastic Cream Background, with Green Vine Pattern Enhanced by Flowers in Tones of Peach, Blue, Yellow, and Pink... with Green and Blue Foliage. Blue/Green Verge and Rims on Pieces. Heavy, and Dishwasher Safe. Excellent Condition. 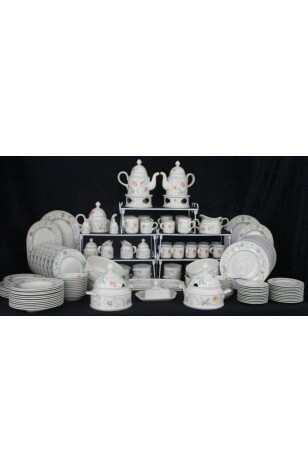 A very Beautiful Multi-Color Floral China Dinnerware Set in the"Albertina" Floral Pattern #VILALB by Villeroy & Boch. Made in the 1980's. 148-Pieces, a Service for (12) Twelve. 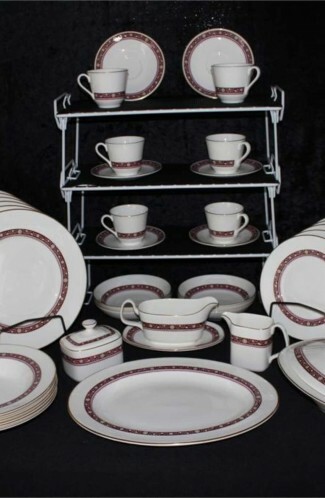 Plus numerous Serving Pieces (see inventory below). It is a Fantastic Cream Background, with Green Vine Pattern Enhanced by Flowers in Tones of Peach, Blue, Yellow, and Pink... with Green and Blue Foliage. Blue/Green Verge and Rims on Pieces. Heavy, and Dishwasher Safe. 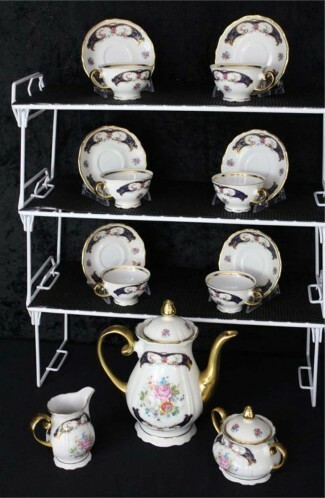 Very Good Resale Condition having no known defects. 12 - Bread Plates - 7 1/4"
12 - Salad Plates - 8 1/2"
12 - Cereal Bowls - 6"